Our George School Ambassadors were asked to share their stories about why they chose George School. There is no typical George School path but they all share a common thread: a love of people and learning. 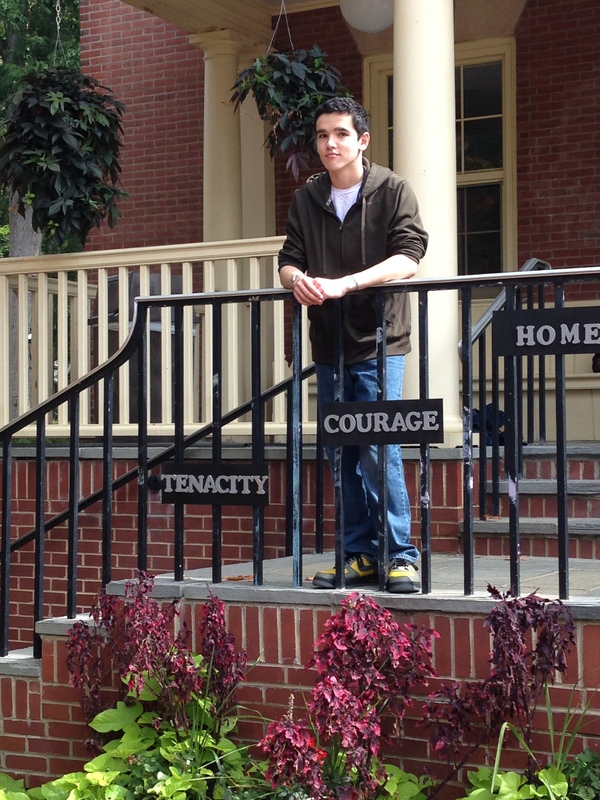 Read on to find out what made Rob ’16 join the George School community. I found George School in a pretty uninteresting way compared to many of my peers. A few of my relatives attended here, so I grew up with a second-hand familiarity with George School. But I didn’t think about applying until after my freshmen year of high school. I decided to apply as a new sophomore having been disillusioned with my experience as a freshman in public school. It was a rather spontaneous let-me-just-check-it-out decision to tour and apply to a few boarding schools. It was probably the best spontaneous decision I’ve ever made. I applied during the summer, so ironically, I didn’t really get a first-hand look at what I think the best thing about George School is: the people. The campus was empty save for the admission office, a crew that was painting the dining hall, and a day student who had come over to give me a tour. My student tour guide really impressed me with how articulate and friendly she was, and that stood out to me as distinct. The school’s statistics and campus were very nice too but George School isn’t the only school with good numbers and nice buildings. The hospitality I felt during my tour was the factor that distinguished George School from the rest for me, and I (obviously) wound up deciding to attend. All things considered, my experience here has been more than I ever could have hoped for. I was a bit anxious about applying and starting at a new school, especially after spending my entire life in public school systems, but I quickly made friends and today I’m thriving academically as a junior. I’m entering my second year as a student here, and I really can’t imagine who I’d be if I didn’t attend George School now.